Once, long ago, some folks who could both English and Japanese realized something. The script for one of the greatest 16-bit RPGs of all-time had been butchered in its English translation. Which is quite a pity, to be sure. So some fellows going by Hirata and Zickefoose rectified it by translating the game into English, and stick it in a text file somewhere. Then Naflign steps in. He adored Phantasy 2 (as anyone in their right mind SHOULD), and set about hacking this script into the game. And guess what?! He met with success. 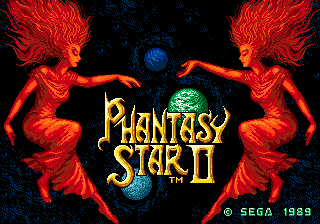 So now, you can enjoy Phantasy Star 2 in it’s proper English glory.